Writing in the Guardian, pioneering British feminist Sheila Rowbotham named The Women Incendiaries by Edith Thomas as one of her top 10 radical history books. "When the women’s liberation movement started in the late 1960s, I began looking for the women, as well as men, who had been hidden from history. Fifty years on, I am still at it. The following books are drawn from a great host of books I admire." "Richard Cobb had told me about Thomas’s participation in the Union des Femmes Françaises during the Resistance which left her familiar with barricades. 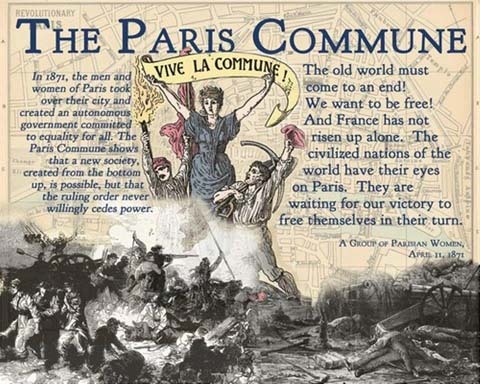 The action and ideas of women teachers, book-binders and button-makers in the 1871 Paris Commune spring from the archives onto her pages, along with the tributes of the poets and the merciless contempt of the Commune’s suppressors. The Women Incendiaries triggered my first book, Women Resistance and Revolution (1972)." –Sheila Rowbotham, "Lessons in liberation: the top 10 books of radical history"
The Women Incendiaries is a critical contribution to the history of the Paris Commune, and to the traditions of feminist history and history from below–which is why Haymarket brought it back into print a few years ago, making the book available in paperback for the first time. Like all of our titles, it's currently available at half price direct from our website. Vive la Revolution!